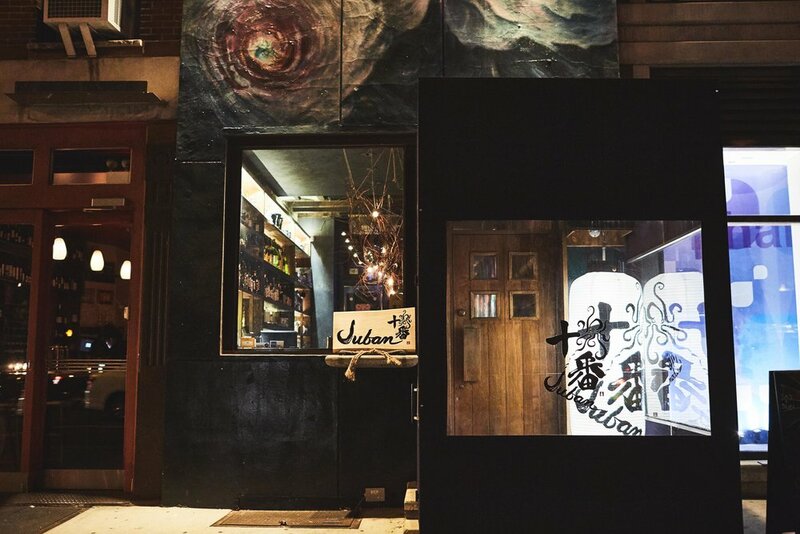 Juban is an inventive Izakaya dedicated to bringing wonder to the experience of Japanese cuisine in a local setting. 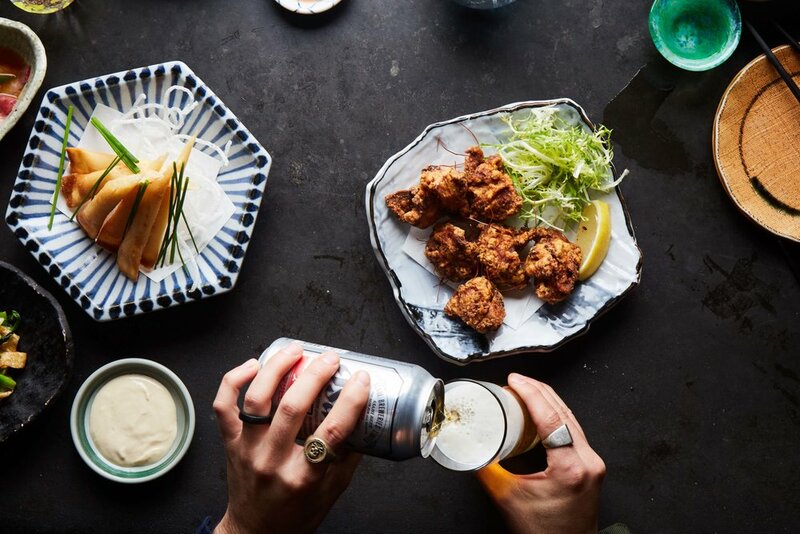 With every meal designed for discovery, its creative spirit unfolds through community. 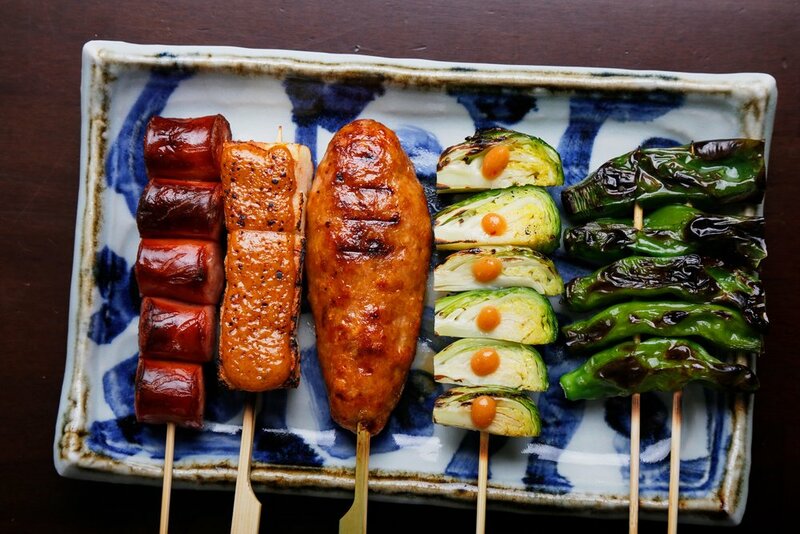 Artful sushi, masterful seafood, elevated skewers, and neighborhood favorites are served family-style to celebrate sharing and connecting. At once serendipitous and soulful, its unique approach always serves the moment. 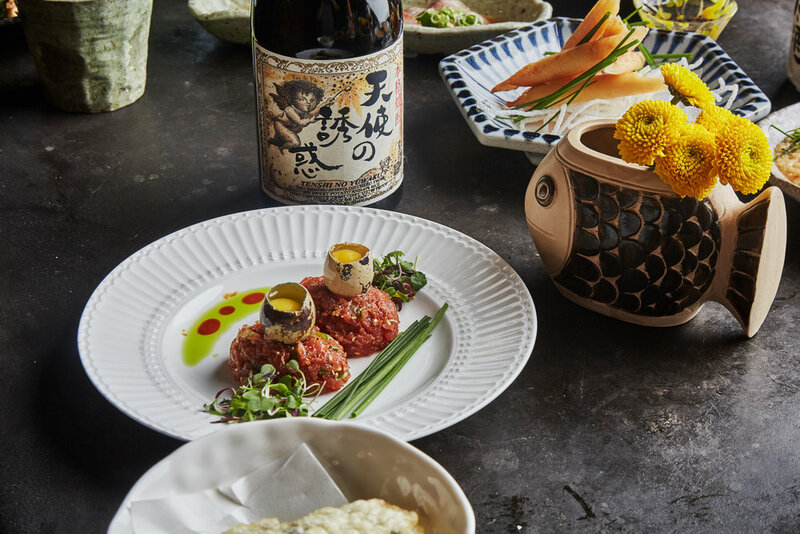 Set in the heart of Chelsea’s gallery district, Juban’s rich culture offers a convivial and inspired experience of authentic fare. 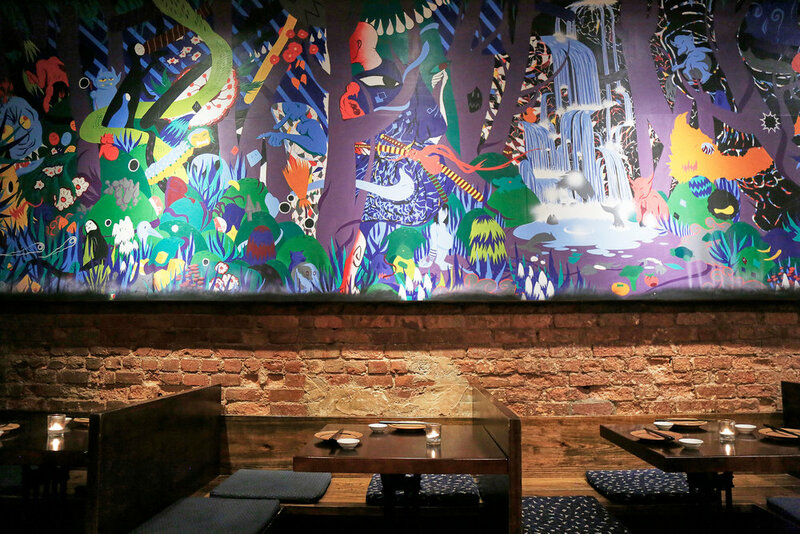 Here, seasonal menus and artful murals converge—serving tradition with the wink of innovation. Please call ahead if you are arriving close to closing time to ensure the kitchen is still open. 7PM-9PM is blocked for walk ins only except for large parties (6 or more) to honor the local community. Please note that reservations are offered for the Dining Room only and not the Bar. 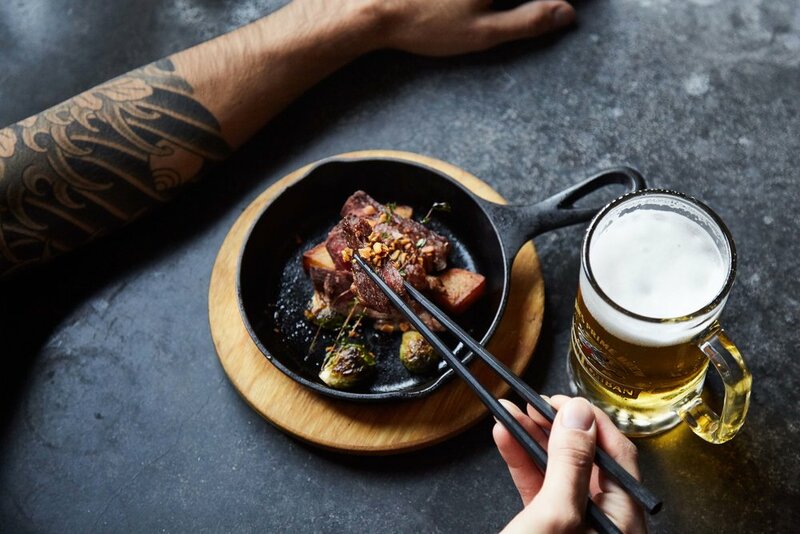 We are not able to accommodate requests for specific tables, sections or quiet tables, we kindly request that you respect our policy as our dining room is small and our seating is limited. We are unfortunately not able to accommodate strollers in the Dining Room for safety reasons, they must be left at the door. 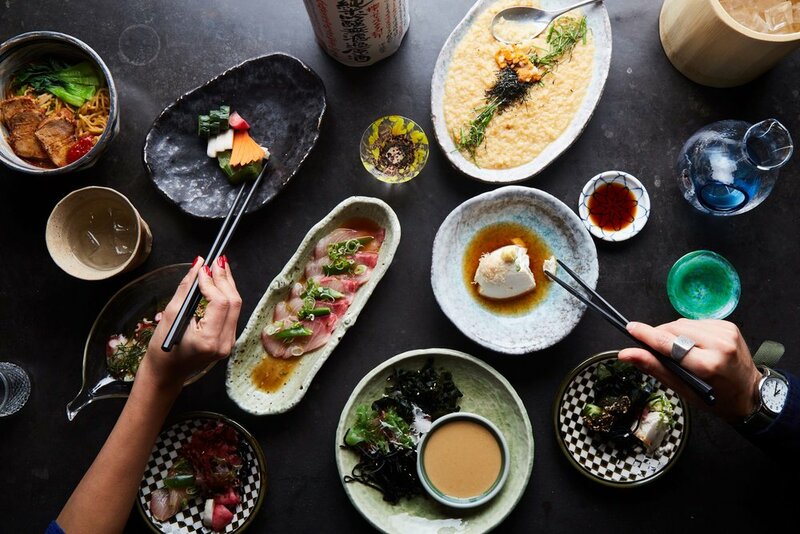 Juban welcomes reservations for larger groups and private dining. For groups of 5 or less book your table through the available times. 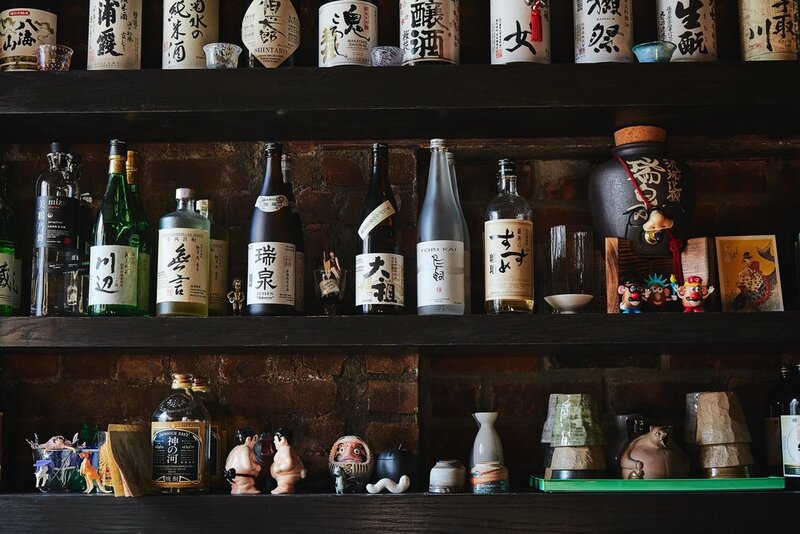 Parties of 6 or more are welcome to make reservations by emailing info@jubannyc.com We will get back to you as soon as possible regarding availability. Make room for more. 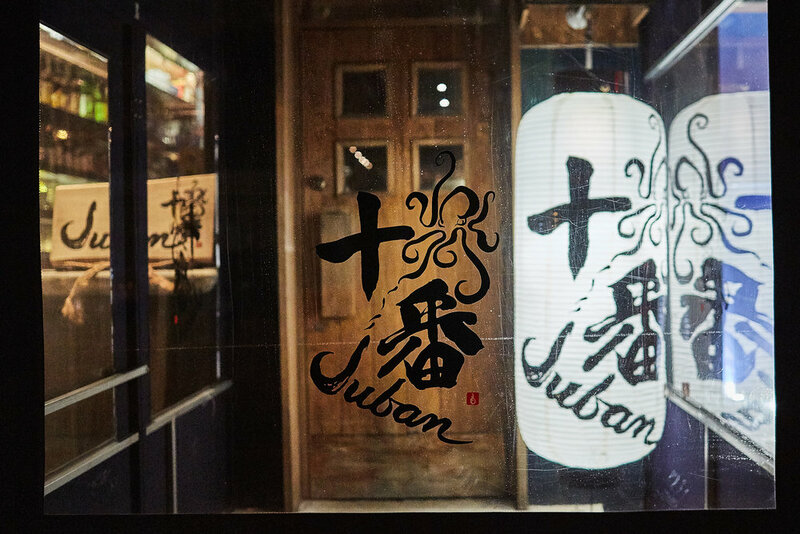 Juban offers an artful space separate from the main room, which hosts family style dining for parties of up to 20 guests. 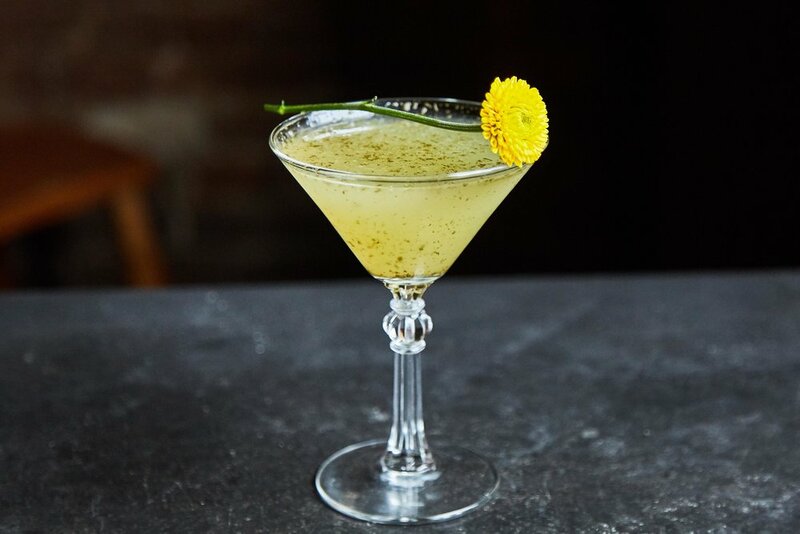 For bigger events, the restaurant accommodates buyouts for groups of up to 60. 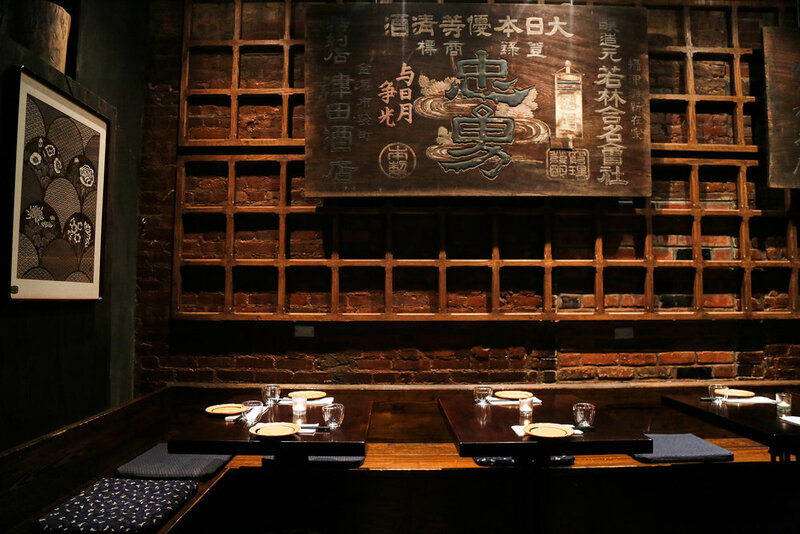 Email info@jubannyc.com to learn more and see the private dining menus. Please let us know the date, time and number of guests in your party when e-mailing. Please note that the minimum number of guests required for private dining is 15. In the event your party size is less than 15 we are happy to accommodate you in our main dining room. 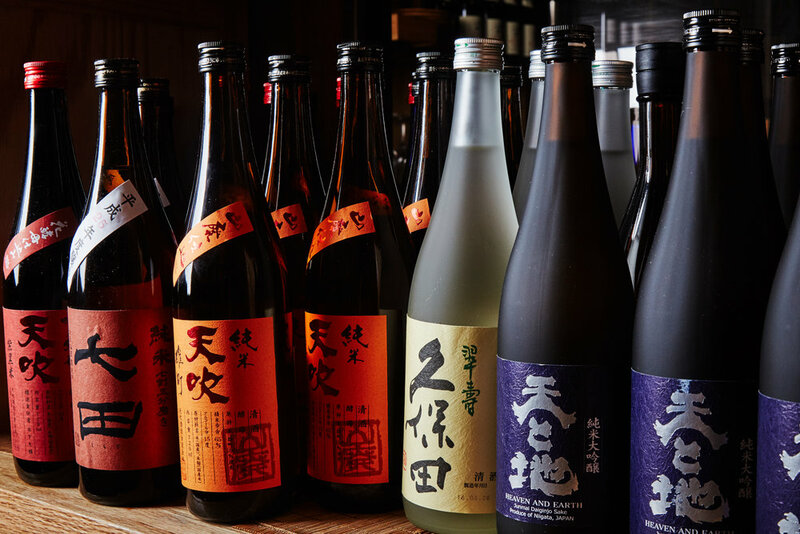 Take a taste of Juban to-go. 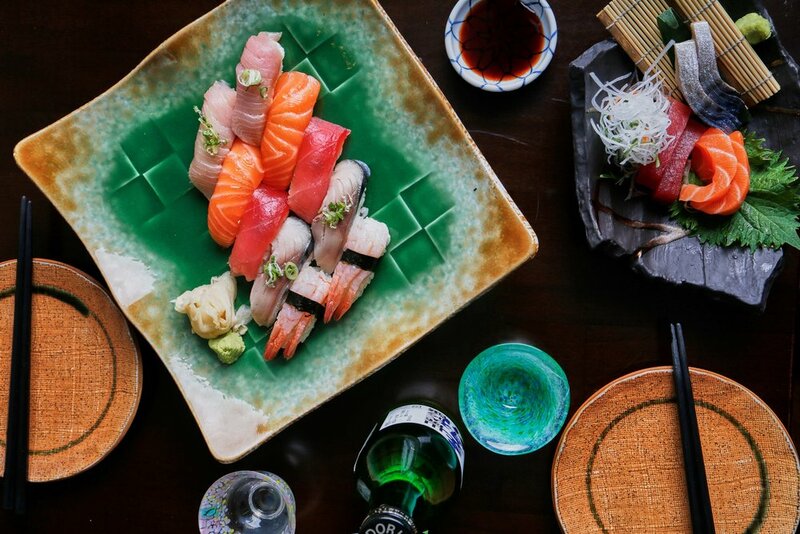 Our full menu is available for takeout and delivery. Please call 646-398-9770 for a pick-up order. For delivery, kindly place your request through Postmates.